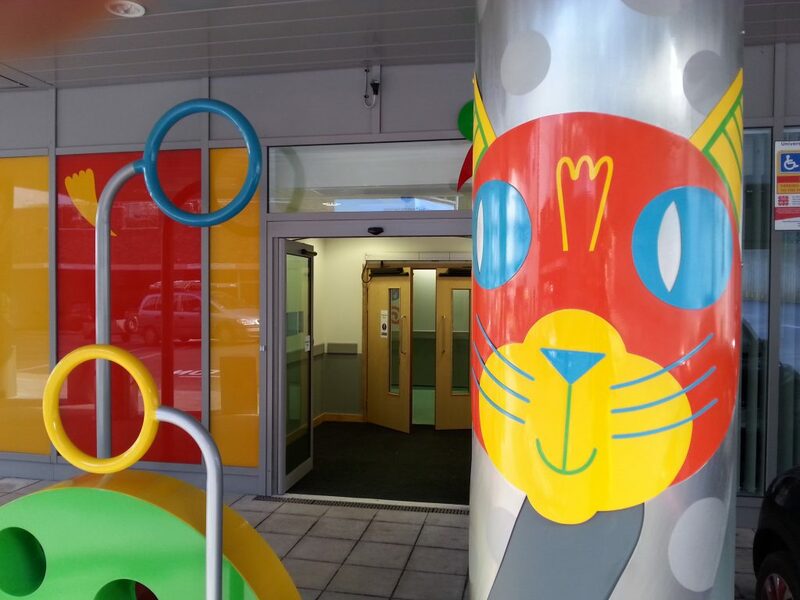 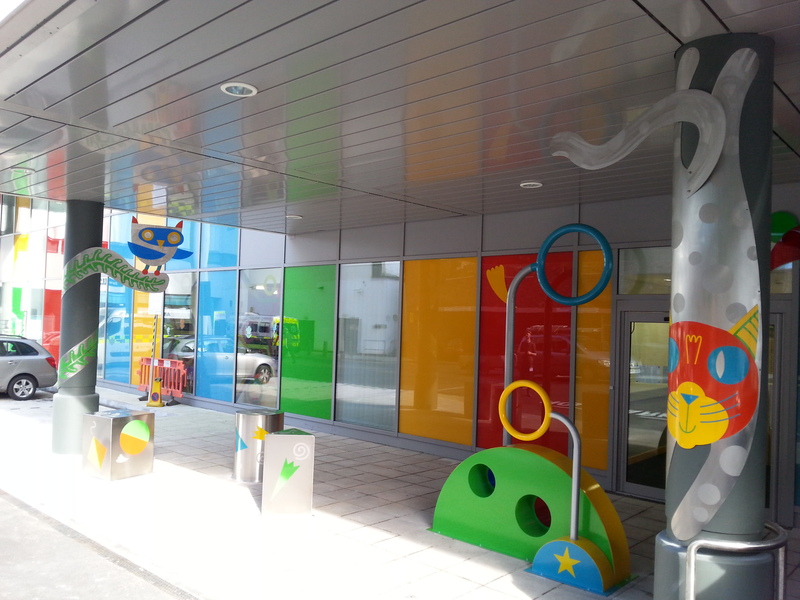 BIE Magnum was approached by local sculptor Pete Moorhouse to collaborate on a large installation at Bristol Childrens Hospital. 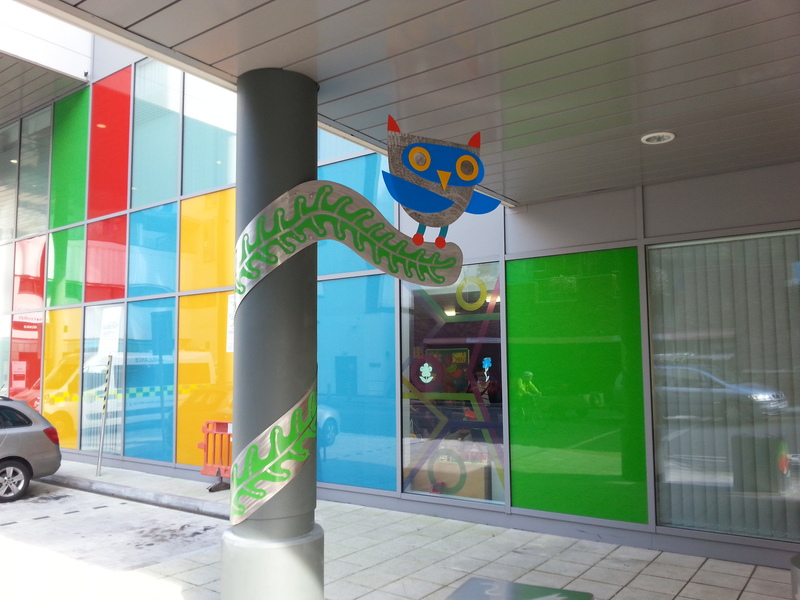 Working from illustrations by Dave Bain, Pete was making a set of pieces based on the Owl and the Pussycat and was looking to introduce some colour and texture to the metalwork as well as highlighting the created characters. 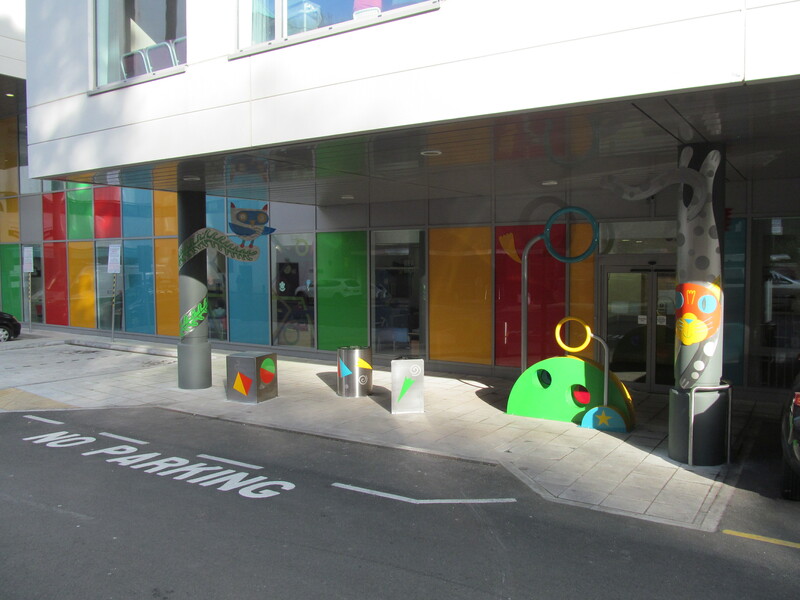 BIE Magnum created stencils and painted the items to help create a colourful and fun installation.